Give your toddler a jump start in early preschool skills and lay the foundation for a love of reading! 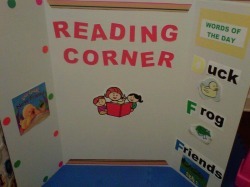 academic skills like colors, letters, shapes, and animals. we sing, the toys we play with, and the activities we do. to enhance that mulitsensory approach. The National Institute for Literacy and the Partnership for Reading report that reading skills start from birth and "early experiences with spoken and written language set the stage for children to become successful readers and writers." Reading is such an important part of your child's education and future so let's start now and give them the best opportunity to succeed! Groups are held in 12 week sessions with monthly payment plans available. Space is limited to 7 Mommy and Toddler pairs so reserve your space now!